Jurassic Forest needs little introduction to the children of Edmonton, Alberta, but when the popular dinosaur park wanted to reach out to the businesses of Alberta to draw attention to their corporate retreat offering they hunted down Whoville to help them spread the word. Whoville developed the highly impactful "Go Wild!" campaign designed to turn the heads of everyone in the office from the mailroom to the boardroom and most importantly the gate-keeper/decision-maker that controls the purse strings on related corporate spending. 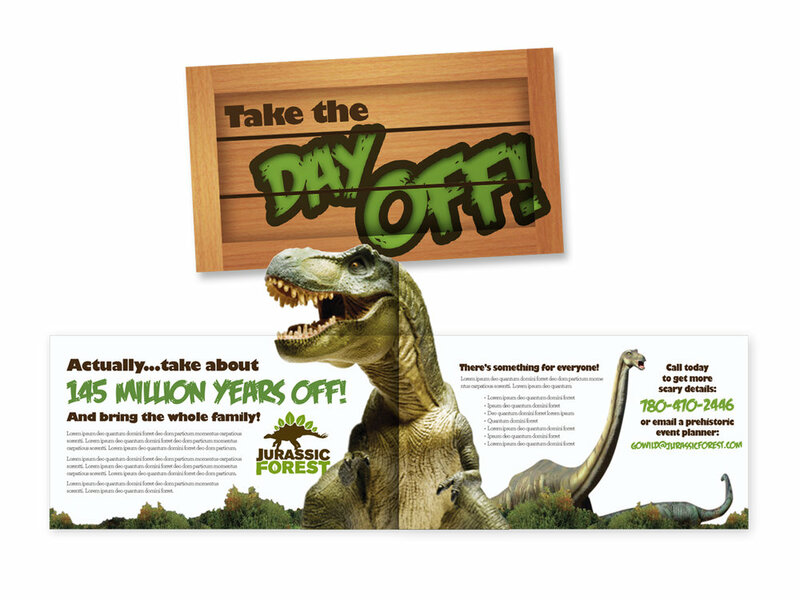 The imaginative promotion employed a 2-step direct mail campaign including a 3D pop-up "Dino-Crate" plus an eye-catching leave-behind marketing folder. Even "Rexy", the iconic Tyrannosaurus Rex, put on a tie for the occasion! 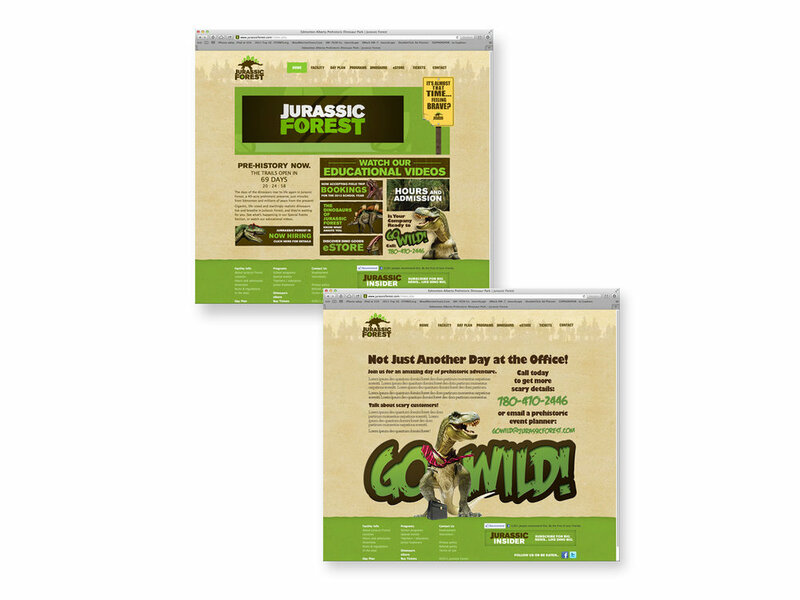 Jurassic Forest was thrilled with the results of this "prehistoric" promotion - can you imagine what Whoville will drum up for your brand or company? Check out the images of the "Go Wild!" promotion for Jurassic Forest below!